There was a sense of deja vu when Valencia Basket and Unicaja Malaga took the court at Pabellon Fuente de San Luis on Wednesday. 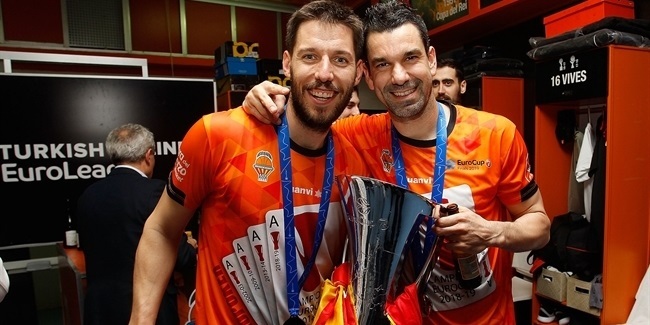 In the teams' last EuroCup showdown against one another, Unicaja used an unforgettable fourth-quarter comeback to beat Valencia in Game 3 of the 2017 finals and lifted the trophy. This game actually followed the same script for many minutes; Valencia led for the better part of the game and had its best minutes in the third quarter when it grabbed a 16-point lead. That is when Unicaja used a 0-13 run to get back in the game, 66-63. In other words, Unicaja tried to pull the same trick that worked in their last EuroCup game there, the late comeback, and surely, every fan in the place remembered. But this time, Valencia saw it coming. Will Thomas and Alberto Abalde fueled an 8-0 run that Sam Van Rossom capped with a layup to make it an 11-point game. Valencia did not look back after that. Valencia played with high intensity and concentration most of the way. It finished the game with 20 offensive boards, which were 7 more than its previous high this season. It had 45 rebounds, 10 more than its best mark this season. 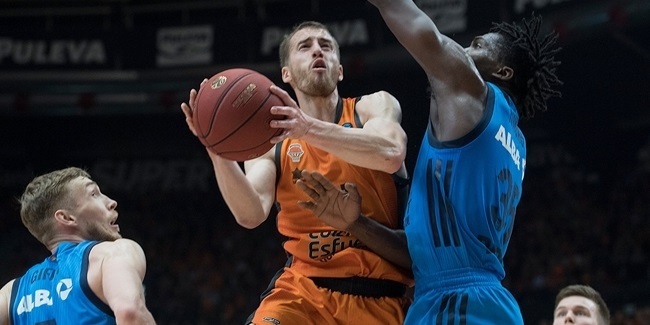 Valencia also took excellent care of the ball, finishing the game with 20 assists and just 7 turnovers. Unicaja had 14 assists and 14 turnovers. It was a special game for all seven Valencia players in uniform this night who had been on the court in 2017, but especially for Will Thomas, who also faced his former team. He provided the intensity, power and know-how required to win a high-pressure game like this. Will Thomas finished the game with 18 points on 8-of-13 two-point shooting and a performance index rating of 23. In other words, Valencia brought out its best basketball at the right time, playing one of its most sound games this season. 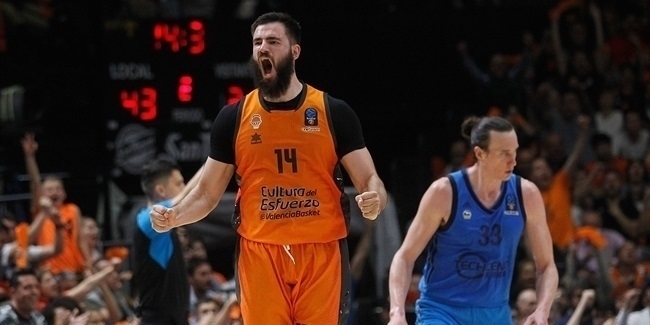 It hasn't lost in the EuroCup at home since that do-or-die game against Unicaja for the 2017 title and now it can finally look forward to the next challenge, winning its group and taking another step towards fighting for one more EuroCup crown.